Posted on 03 May 2017. Welcome to the spring vintage release of our most beloved wines, and the inaugural release of a varietal that is new to Red Car. This is your opportunity to secure the 2014 Heaven & Earth Pinot Noir, the 2014 Ritchie Vineyard Chardonnay, our 2016 Rosé of Pinot Noir, and the first vintage of cool-climate, single-vineyard Cabernet Sauvignon from the Fort Ross-Seaview appellation, near to our Estate Vineyard. We invite you to learn more about this offer by reading our current newsletter. 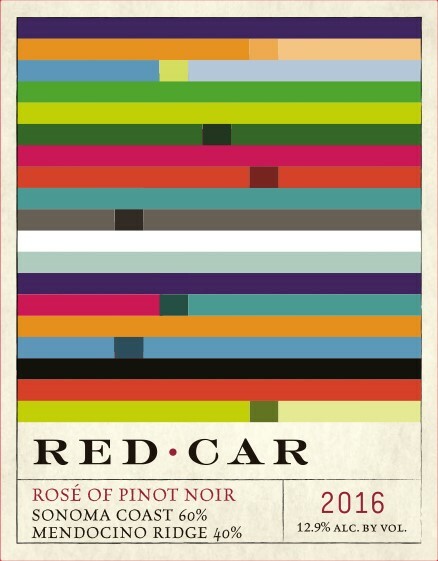 You may also enjoy a virtual visit with us on the West Sonoma Coast at www.redcarwine.com. To view this offer and order form, click here. Your offer will be held until May 15, at which point the remaining inventory will be sold on a first come, first served basis. A 10% pre-release discount will be deducted on all orders received by May 15. An additional 10% will be deducted on orders of a case (12 bottles, 750ml) or more. Shipping will begin right away, and we will ensure climate controlled delivery if the weather dictates. In 2014, we leased and began farming a small vineyard near our Estate Vineyard in the Fort Ross – Seaview appellation, intending to graft over the four acres of existing Cabernet to Chardonnay. But we experimented with a small block, leaving a few rows of the 30-year-old Cabernet vines in the ground, to gauge the potential. We are delighted at this cool-climate Cabernet very in keeping with our house style, and we hope you will be too. We were deeply honored that Heaven & Earth Pinot Noir was given a full three-stars and ranked as the No. 2 Sonoma Coast Pinot Noir by acclaimed New York Times wine critic Eric Asimov. You can find the article on the Times’ website: Sonoma Coast Pinot Noirs Blur the Boundary Lines. 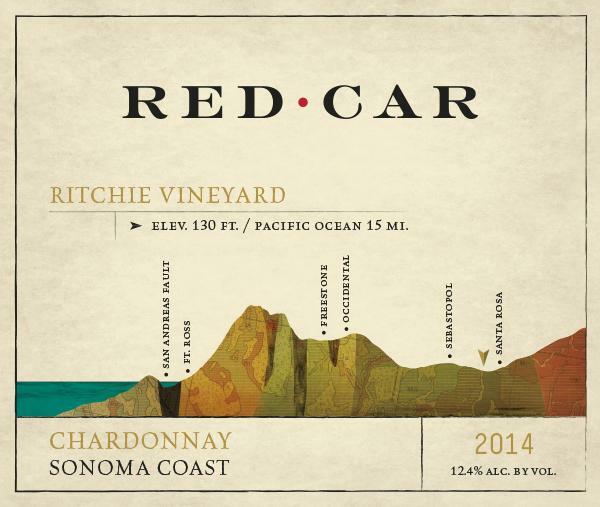 The 2014 Ritchie Vineyard Chardonnay earned a 94-point rating from notable reviewer Antonio Galloni, via his Vinous publication, in which he called out the "notable depth from the 45 year-old vines," and the "striking texture and nuance" that "hit all the right notes" with a "super-expressive finish." We hope you agree. One of the most sought-after Rosés in the nation and always a favorite among esteemed wine critics, this new vintage is our best Rosé yet. Harvested at a low 20° Brix and immediately whole cluster pressed, it is fermented in true vin gris style. No matter the weather or season, we find this bottle makes every day brighter. We are delighted to announce our inaugural vintage of cool-climate, single-vineyard Cabernet Sauvignon! Red Car’s last decade has been dedicated to reviving classic, Old World winemaking styles and techniques and applying them to our true cool climate region of the West Sonoma Coast. This wine is a perfect example of the unique voices we have uncovered along the way. 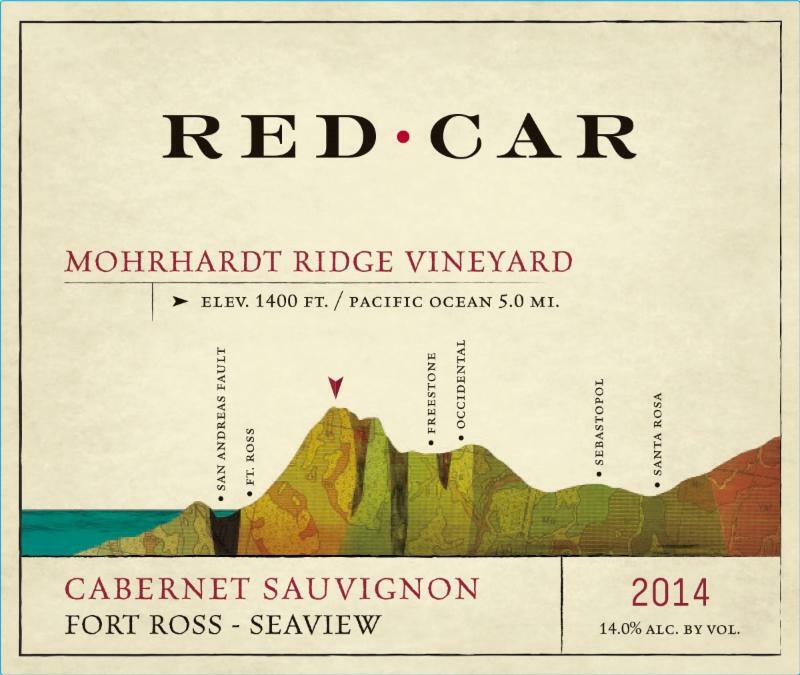 The Mohrhardt Ridge Vineyard is located in the Fort Ross-Seaview AVA. It is perched high on a ridge a couple of miles inland from our Estate Vineyard, which provides just enough additional warmth to barely ripen Cabernet. This small, four-acre vineyard was planted to Cabernet Sauvignon over 30 years ago. Discovering Cabernet vines in the reigning region for Chardonnay and Pinot Noir, we couldn’t resist the opportunity to embrace the true coastal history of the Médoc and make wine from this little gem. Red Car has been crafting Heaven & Earth longer than any other Pinot Noir bottling. Since the inaugural 2007 vintage, it has developed quite a following among our loyal mailing list members and is typically the first of our Pinot Noirs to completely sell out. The wine comes from the small 4.5-acre vineyard in the heart of the Occidental region, planted to our exact specifications in 2004 using the Calera, Pommard, and 828 clonal selections. Fans of Heaven & Earth will be delighted with the 2014 vintage — offering intensely savory and complex layers of fruit and spice, woven together with velvety tannins. A sumptuous wine to relish now or cellar for future enjoyment. Few New World Chardonnay sites rival the prestige of the famed Ritchie Vineyard. Planted in 1972 and now touted by Wine Enthusiast as one of California’s grand cru Chardonnay vineyards, it is a site revered by winemakers for producing fruit with layers of complexity and lush richness. In 2014, we harnessed the potential of the vineyard by creating a Chardonnay with perfume, texture, minerality, and nuance. The mouth-feel and body of this wine is opulent yet racy and has received high accolades throughout the years from wine critics and Red Car fans alike. The 2016 Rosé of Pinot Noir was harvested at a cool 20° Brix, immediately whole cluster pressed and fermented like a white wine without skin or seed contact in true vin gris style. This enticingly aromatic wine is bone dry, delicate in structure, with racy acidity, and 12.9% alcohol. For the first-time ever in our Rosé program, we blended two cool-climate appellations: Sonoma Coast and Mendocino Ridge. These highly touted wine regions offer perfect growing conditions for the crisp, lively style of Rosé we strive to produce. The Manchester Ridge Vineyard and Mariah Vineyard from the Mendocino Ridge appellation sit at about 2,000 feet elevation, situated extremely close to the cold Pacific Ocean, offering us unparalleled acidity. The vineyards from the Sonoma Coast appellation are located in the dramatic coastal ridges of the West Sonoma Coast, with fruit coming from a handful of our favorite organic and biodynamically farmed sites which are all situated within 8-miles of the coastline. To view this offer and order form, click here. Your offer will be held until May 15, at which point the remaining inventory will be sold on a first come, first served basis. A 10% pre-release discount will be deducted on all orders received by May 15. An additional 10% will be deducted on orders of a case (12 bottles, 750ml) or more. Shipping will begin right away and we will ensure climate controlled delivery if the weather dictates. If you have any questions or would like to place an order directly, please contact our Concierge Team (707) 829-8500 or wineclub@redcarwine.com. We are grateful that you have chosen to be part of our Red Car family, supporting our pursuit of crafted wines from the cool West Sonoma Coast. From all of us here at Red Car, thank you.